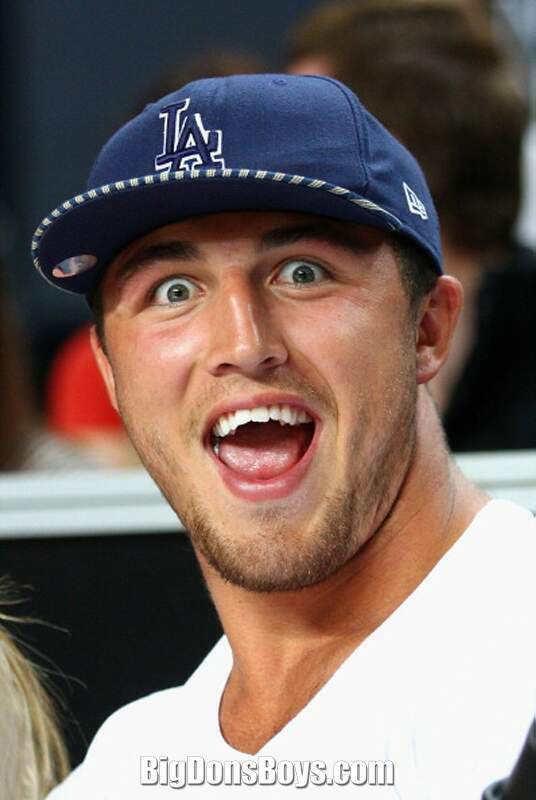 6'5" Sam Burgess (born 14 December 1988) is an English professional rugby league player for South Sydney Rabbitohs in the National Rugby League. A Great Britain and England international representative forward, he previously played for Bradford Bulls in the Super League. Burgess is one of four rugby league-playing brothers; younger brothers Tom and George are team-mates at South Sydney, while older brother Luke plays for Manly Warringah Sea Eagles. Like many of his brothers he has played for the Rabbitohs, which is a weird name for a sports team. Rabbits? 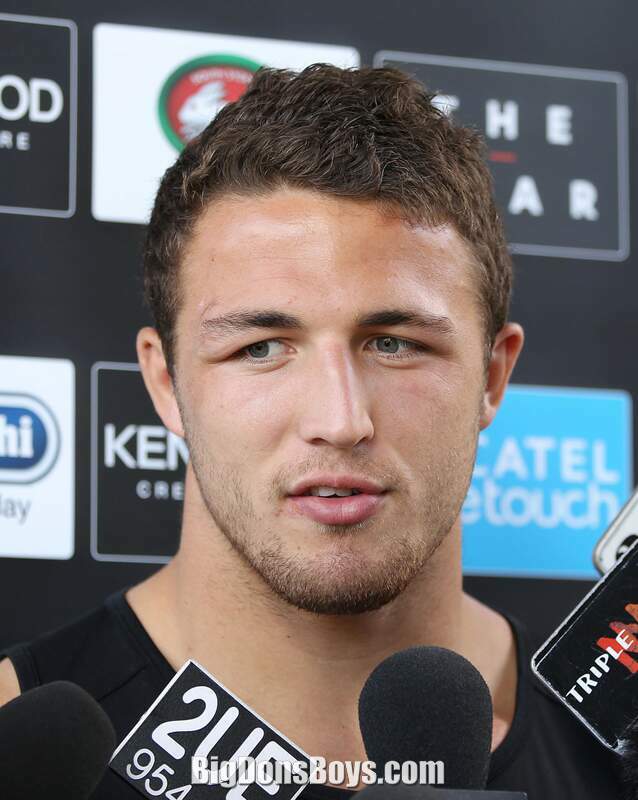 During his first spell at South Sydney, Burgess won the 2014 NRL Premiership, the club's first in 43 years, and was named winner of the Clive Churchill Medal for man of the match in the 2014 NRL Grand Final. In late 2014, Burgess switched codes to play rugby union for Bath Rugby. He was called up to the England national rugby union team in August 2015, becoming a dual-code international, and was a member of England's squad for their unsuccessful 2015 Rugby Union World Cup campaign before returning to rugby league for the 2016 NRL season. Burgess was born on 14 December 1988 in Liversedge, Kirklees, West Yorkshire. His late father, Mark Burgess, who died of motor neurone disease, was also a rugby league footballer who played for Nottingham City, Rochdale Hornets, Dewsbury and Hunslet; whilst his mother, Julie, is a teacher, currently employed at The Scots College in Bellevue Hill, Sydney. His older brother, Luke, and younger twin brothers, Tom and George, are also professional rugby league footballers. He attended Heckmondwike Grammar School. He played his junior rugby for Hunslet Parkside, Dewsbury Moor and also played for Liversedge Cricket Club. Burgess made his Super League début against Leeds in 2006 after already being dubbed by Shontayne Hape as "Great Britain's Sonny Bill". After a highly successful début season with the Bulls, Burgess was awarded the Senior Academy Player of the Year Award by the club. In 2007 Burgess has established himself as a first team regular. After a great full season he was called up for the Great Britain squad for the 2007 Test series with New Zealand, and was named as young player of the year in Super League. Burgess made his Great Britain début against New Zealand in the 1st test in October 2007, scoring a try. Burgess also played in the centenary match between the All Golds and Northern Union; he was awarded the Man of the match. He gained attention for his big hit on New Zealand prop Fuifui Moimoi during the Kiwis' 2007 tour when he was only 19 years old. At the end of 2008's Super League XIII, Burgess was forced to rule himself out contention for the England 2008 World Cup squad because of injury. 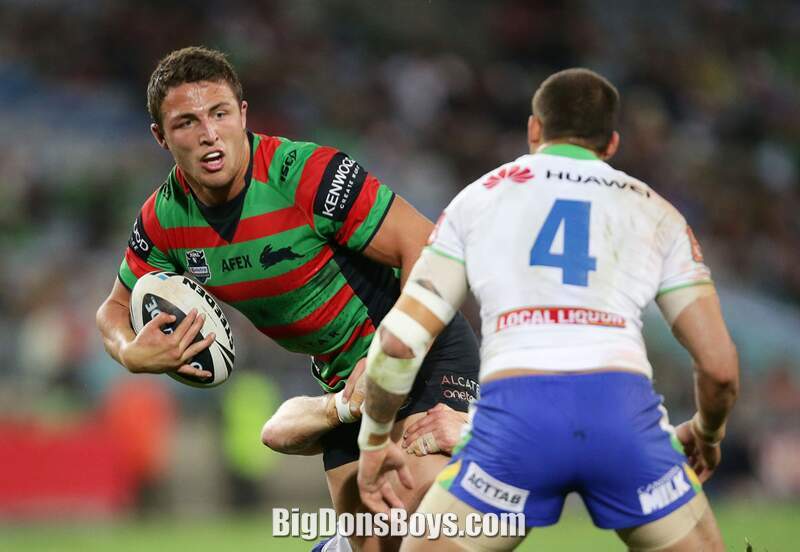 In September 2009, the South Sydney Rabbitohs announced they had signed Burgess on a four-year deal from the 2010 season. Burgess, on contract at Bradford until the end of the 2010 season, was released after the clubs agreed on a compensation fee. South Sydney co-owner and A-list celebrity Russell Crowe persuaded Burgess to choose his club over others that were competing for his signature, after inviting Burgess and his mother to the set of Robin Hood, which he was filming in England at the time. Burgess, in his last game in the UK before moving to the NRL, played a prominent role in the final of the 2009 Four Nations tournament, scoring two tries in England's loss to Australia. 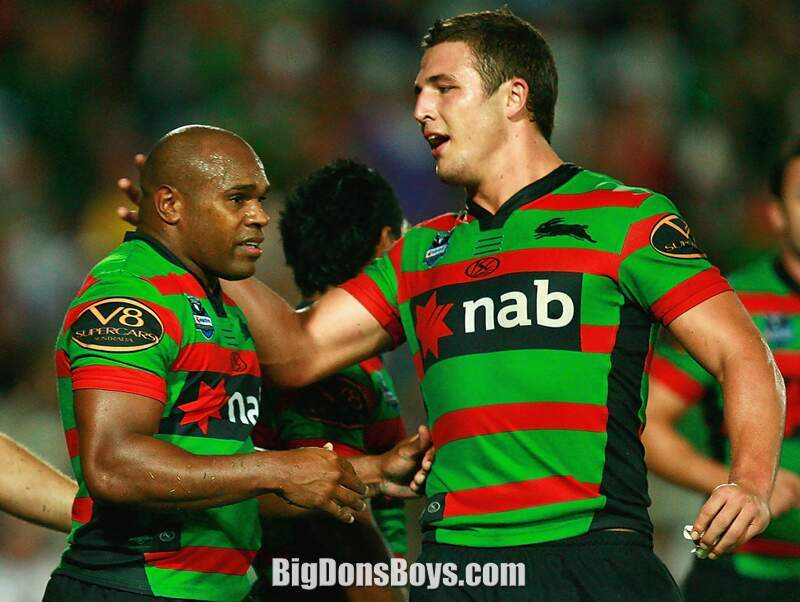 Before he had played a game for South Sydney Burgess played prop forward for the NRL All Stars in the inaugural All Stars match after Rabbitohs prop Dave Taylor injured his ankle at training. It was played at Skilled Park on the Gold Coast on 13 February 2010. The NRL All Stars lost the game 16–12. He was selected to play for England against France in the one-off test in 2010. Burgess was given a one-week ban by the NRL judiciary for a grade one grapple tackle. He was placed on report during Round 21, against the Canterbury Bulldogs, for a grapple tackle made on Canterbury fullback Ben Barba. 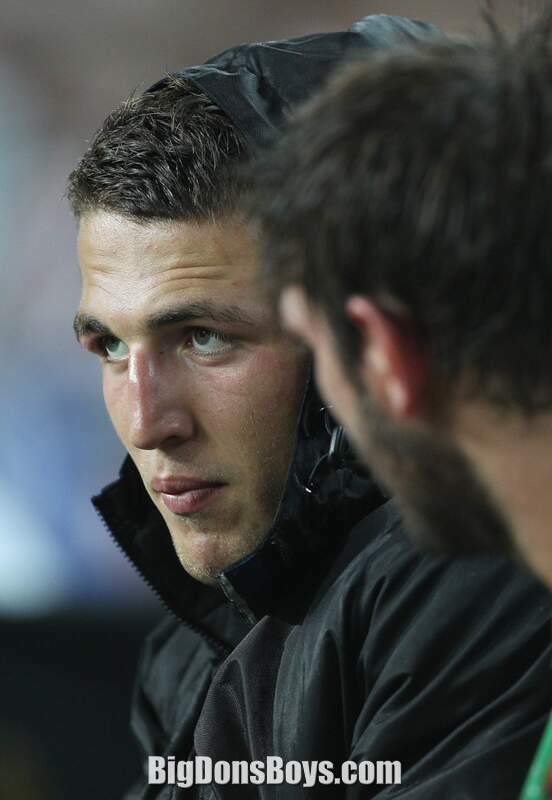 Burgess therefore missed the Round 22 clash against Wests Tigers. After the 2013 NRL season Burgess represented England in the 2013 World Cup. 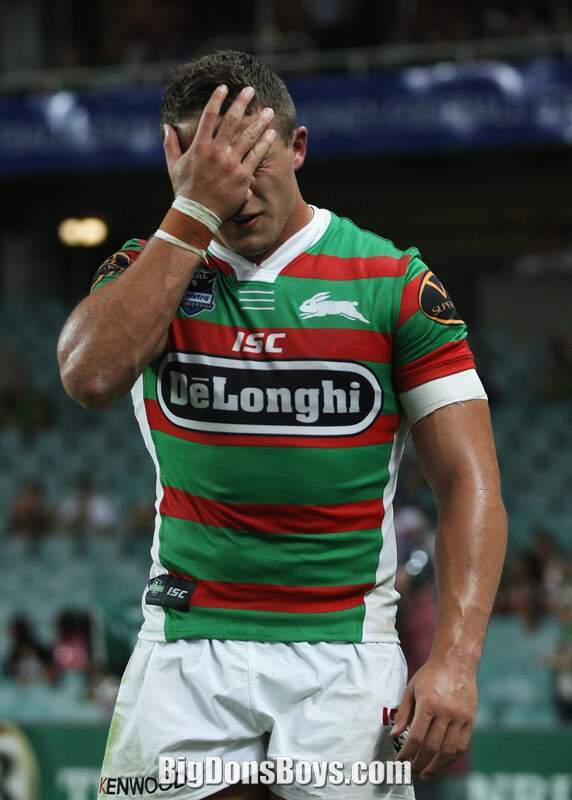 In what was his last match for South Sydney, Burgess, along with brothers Tom and George played against the Canterbury-Bankstown Bulldogs in the 2014 NRL Grand Final. Despite suffering a broken cheekbone in the first tackle of the game, Burgess continued to play on, with his team winning the match. He was awarded the Clive Churchill Medal for best player in the grand final. Taking into account the retrospective Clive Churchill medal awarded to Ron Coote in 1971, Sam Burgess was the first South Sydney player to claim the medal in 43 years. On 17 February 2014, it was announced that at the end of the year Burgess would switch to rugby union. He was signed for Bath Rugby in England's top competition on a three-year contract, starting from October 2014. His start date was then delayed until December 2014 due to complicated surgery to fix a fractured cheek and eye socket. He was seen by the English rugby union as their answer to Sonny Bill Williams – a big ball-playing rugby league forward who can transfer those skills to the backline midfield in union. He scored his first try for Bath in the 13th round of the Aviva Premiership against Wasps at the Recreation ground and was awarded man of the match. On 21 January, he was named in the England Saxons squad to play the Irish Wolfhounds. On 10 April, Burgess started in the Aviva Premiership against Newcastle Falcons at blindside flanker. 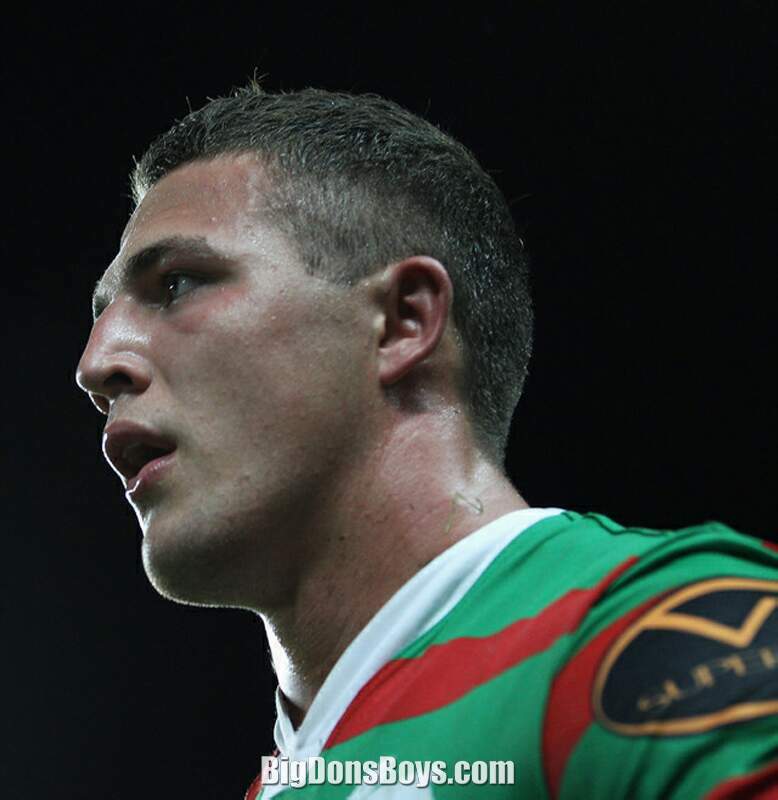 Burgess completed the most turnovers of any player in the matches of that round. On 10 August, Burgess was named in the England Elite Squad to make his International debut against France at Twickenham on 15 August, in a warm-up match for the Rugby World cup. He started the game which England won 19-14. Following his appearance where he was sin-binned, World Cup winning English scrum half Matt Dawson commented: "You can't take him to the World Cup for me. He played 80 mins and credit for that. But the way the game went in the second half there was nothing for him to do. The great thing about Burgess is he doesn't make mistakes with ball in hand. But unfortunately, if you're going to be really picky, positionally he wasn't great. He played like a six rather than a 12. There are things that are instinctively he doesn’t know what to do." Dawson's comments came before Lancaster named Burgess as one of four centers including Henry Slade to represent England in the World Cup. His inclusion and performances at the World Cup were widely scrutinized, and seen by some pundits as partly to blame for England's "humiliating" early pool stage exit from the tournament—the worst result for a host nation in the tournament's history. 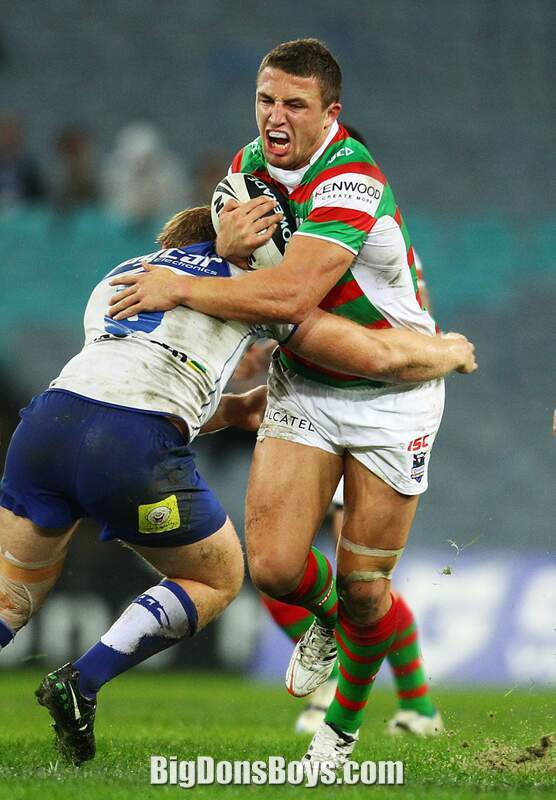 On 5 November, Burgess made the decision to leave rugby union, opting to return to South Sydney Rabbitohs, signing a three-year contract, approximately worth 1.5 million per season. In early November 2015 it was reported that Burgess had been signed to the South Sydney Rabbitohs for $1.5m AUD per season. This figure would make him the highest paid Rugby league player of all time and in the top three highest paid of either code. Rugby league stars and brothers Sam and Thomas Burgess encouraged people to participate in a study in Homophobia in sports. It was paid for, in part, by the Australian government and it's sports commission. This new development from down under bodes well for the Gay Games and just plain non-hetero athletes everywhere. And there are two other Burgess brothers you haven't even seen yet! Well the blonde one is a twin so technically, yeah, you saw his brother already.